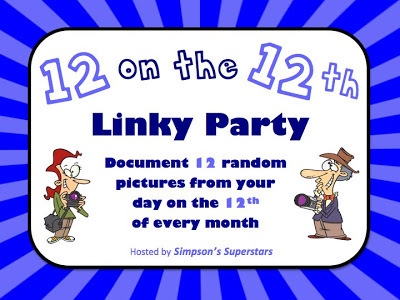 I am excited to link up with Simpson's Superstars first linky of 12th on the 12th! Doodle Bugs Teaching passed on this linky for her to do on the 12th of each month! If you can't link up this time, be sure to participate next month. It's always fun to take a peek into our blogger friends day! Photo 2. I spent my Saturday wandering with a couple of friends around the beach. We ate breakfast at "The Alley" to start our morning. Photo 3. This is the drive down to Laguna Beach for the afternoon. It has been cold in So Cal lately, but it was so warm in the sun by the beach! Photo 4. A fireplace at our second destination once we got to Laguna. Photo 5: A jumbo band aide magnet that I found at the store. I think it is hilarious when I find over sized objects. Photo 6: The best way to start my morning. Photo 8: Me enjoying my drink in Laguna! 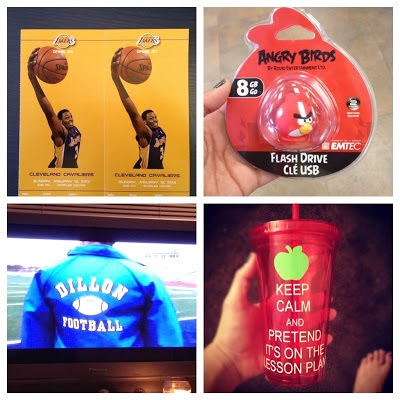 Photo 9: Maybe this girl is going to the LAKER GAME tonight!!! Photo 10: This is an Angry Birds flash drive. Would I be the coolest teacher if I had this?!? I think so! Photo 12: A personalized cup from Layla. I'm obsessed. Hahaha that cup is PERFECT! I love it and want one immediately! Now THAT's a good weekend. I'm jealous that you get to sneak over to your roommate's room for some girl talk. It seriously is the best thing ever! Thank you so much for taking the time to link up. I LOVE, LOVE, LOVE all of your pictures. The jumbo magnet one reminds me of last summer when I became obsessed with hunting down the jumbo "hello my name is" magnet that you found. I hope that the picture of the mini heart erasers means that you are making a new 10 frame design like you did with the pumpkin erasers. . . I'll be the first one to buy it from your TPT. Thanks again for linking up ~ see you next month. I love that cup! It would look good on my desk - especially for days like today when the principal and district math coordinator popped in my room! You are so lucky to live near the beach - I am sooo jealous. It's 20 degrees here in Wisconsin.